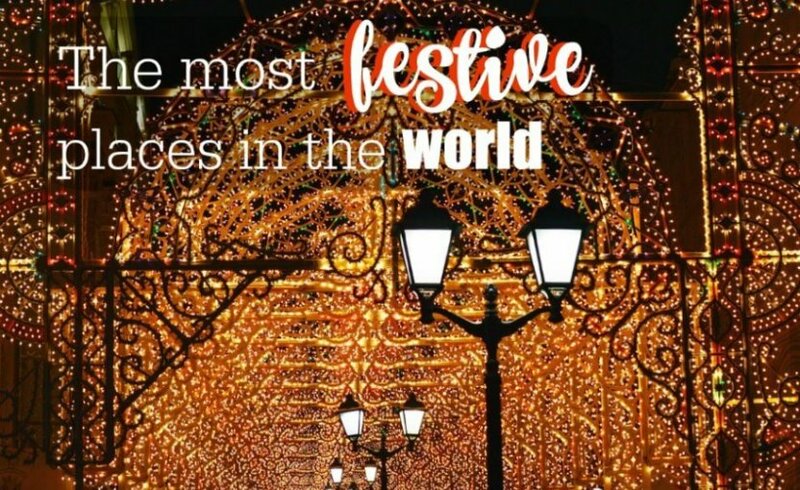 There are some incredibly festive places around the world that put everyone in the perfect mood for Christmas. With the constant festivities that surround the month of December, it’s hard not to be put into the holiday spirit! Walking the streets of London is beautiful in itself, but at Christmas time the streets, stores, markets and windows are illuminated with festive lights and decorations. To be honest, Christmas in London is literally everything could possibly ask for. Winter Wonderland in Hyde Park is a major attraction that opens in the winter, containing rides, ice carvings, ice skating and shows. They are also big lovers of cheesy Christmas jumpers here too! If you want to do feel festive at this time of year, London has a lot of activities and things to do. This is the city for you! 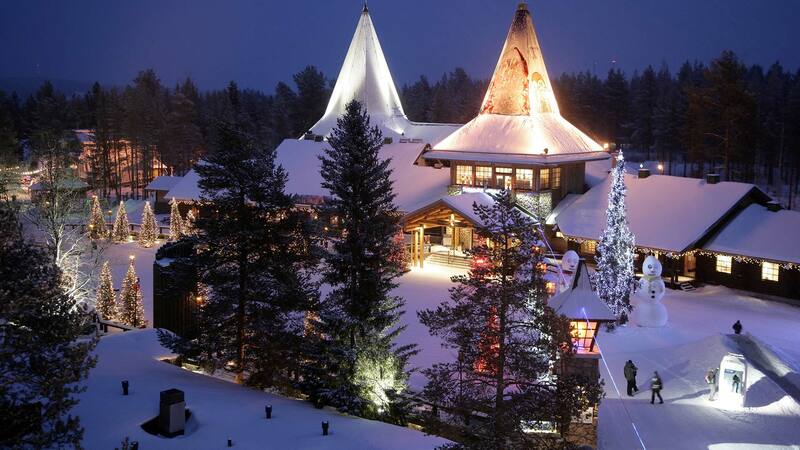 Santa Claus Village is an amusement park located within the Arctic Circle in Rovaniemi, Lapland. This park is a place to meet Santa Claus, mystical Elves, experience dog sledding, working Reindeers and more. It’s also the perfect location to be apart of the cold winter spirit, whilst hopefully witnessing the Northern Lights too. It’s the real winter wonderland. If you want to go to a big, wintery city at Christmas time, New York is the place for you! Christmas windows along 5th Avenue, ice skating in Central Park and exploring the streets decorated with Christmas lights are just a few reasons why New York is a place you want to be at Christmas. 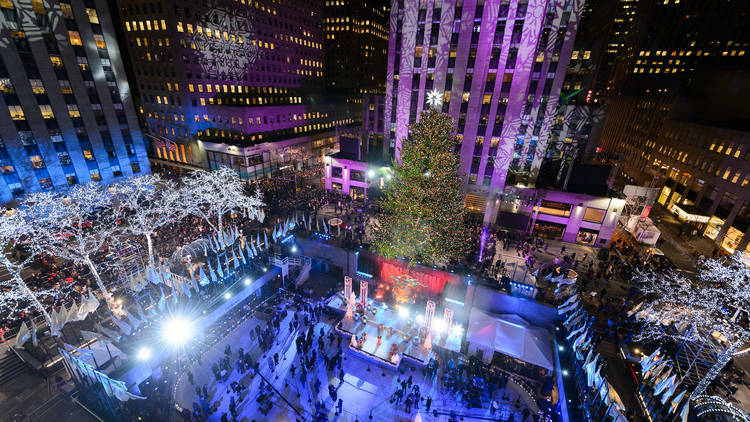 Christmas in New York is also has a lot of great activities to experience with kids! The city of love, also turns to the city of light during the festive months. 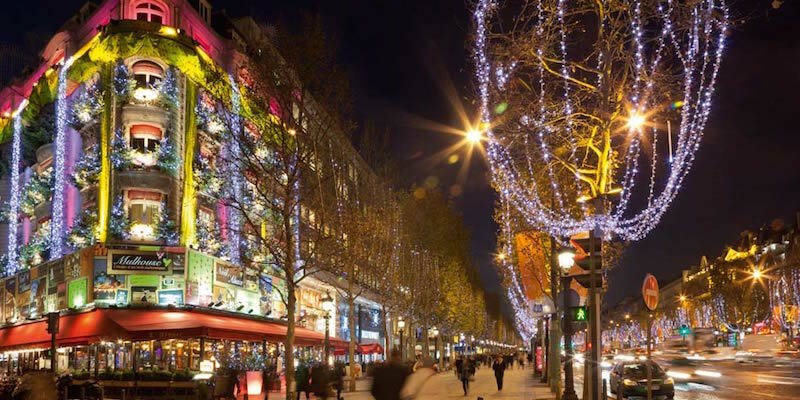 Some of the best shopping, light displays, Parisian Christmas markets and window shopping are found here… and you can even ice skate on the Eiffel Tower! From December 1st to January 22nd, Amsterdam throws a beautiful light festival. Scattered along the city streets, waterways, buildings and canals you will find artworks from hundreds of different international artists, all whom work to illuminate the city of Amsterdam during the holiday season. 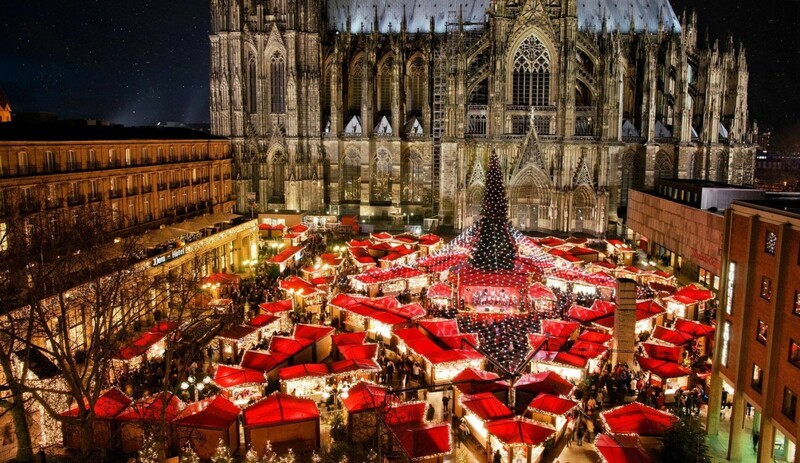 If you want to go somewhere at Christmas, purely for the festive markets… Cologne is certainly the place. From 21st of November – 23rd of December, Cologne has many different markets for everyone’s needs. There are family friendly Christmas trains, religious ceremonies, festive music, beautiful lights and many delicious Christmas treats. Sometimes going somewhere warm at Christmas is far more appealing. 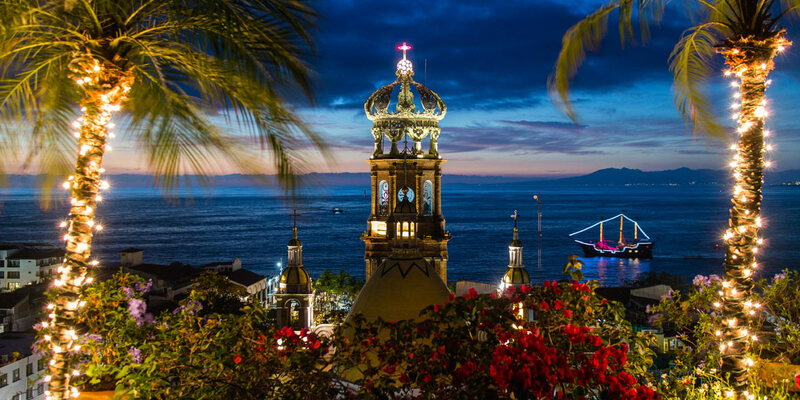 Puerto Vallarta in Mexico is a relaxing beachside place to lounge by the pool, get a nice tan and still be apart of the festivities. There are still a lot of Christmas lights and activities to keep you in the festive spirit, all whilst being immersed in the warm air. Mulled wine, Christmas markets, advent events, child-friendly activities and ice skating are what you’ll find in Zurich at Christmas time. A European Christmas not to be missed. Edinburgh is the perfect place for children to be involved with the joys of Christmas. Younger kids will enjoy Santa Land in Princes Street Gardens, a place with many rides, mazes, giftoriums and workshops.. and you can even meet Santa himself! Ice skating, Christmas markets, river cruises and more! 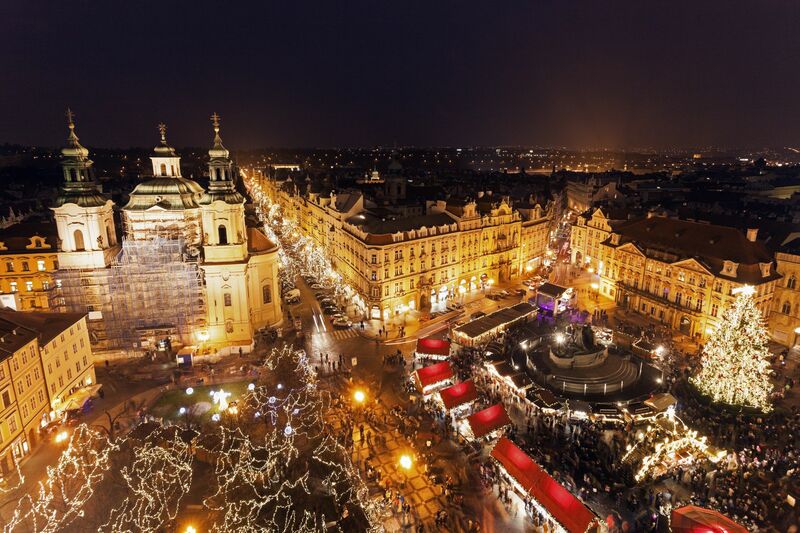 Prague, arguably the most beautiful capital in Europe, has everything you’ll ever need to get yourself in the Christmas spirit. With breathtaking views, cobbled lanes and rich history, visiting this city in December is something you simply cannot miss! If you’re in the hunt for a relaxed and sunny Christmas, Queenstown is the place for you. Whilst being in the middle of summer, Queenstown celebrates the holiday season with kiwi barbeques, lakeside dips and roast dinners at local pubs. The relaxed atmosphere makes New Zealand the perfect place for those who are in need of some time out, while still being apart of the spirit in a much calmer way. This could be the most magical Christmas time of all. During December in Iceland, the sky frequently illuminates with green as the Northern Lights pass by. Depending on the cloud cover, you could experience something truly magical on Christmas night. Where would you travel for the holiday season? Fascinating list, thanks for sharing! Christmas in New York sounds particuarly amazing. Though I bet Edinburgh is really impressive too. Thank you so much! New York would be amazing huh?